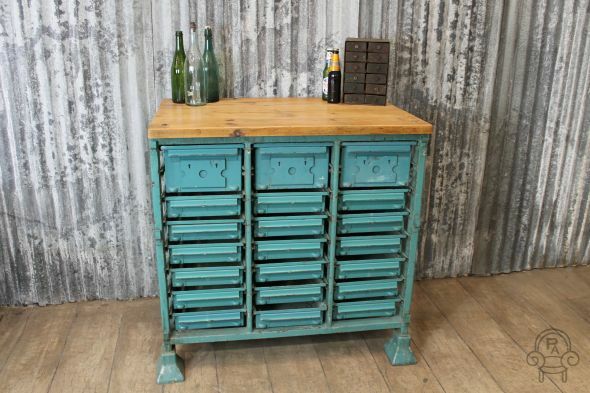 Part of a vast range of original industrial furniture, this beautiful item is full of character and would make a great focal point for a range of different interiors. This lovely item features various drawers and storage capabilities, and boasts a reclaimed wooden top. This wonderful item is an original industrial piece and would be suitable for domestic or commercial use; in particular it could be used as a coffee station, sideboard etc.